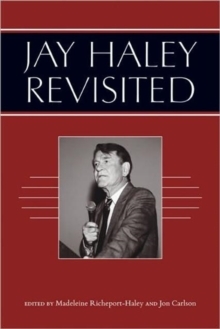 Jay Haley Revisited brings together influential professionals in psychotherapy and counseling to introduce, analyze, and put into context 20 of the most interesting and significant papers Jay Haley produced, both published and unpublished. Jay Haley was one of the most influential thinkers in psychotherapy who revolutionized the field through his writings, teachings, research, and supervision for more than half a century. The seminal classic papers found in this volume capture the wit, humor, and the ability to look at a field and offer critique that leads to constructive change. This book will delight readers who, in one volume, can trace the birth and development of the field of family therapy, and the revolution from traditional ideas to modern therapy approaches, in the voice of one of the field's most gifted teachers.